This soup is creamy and delicious! You'll never guess it's also healthy. 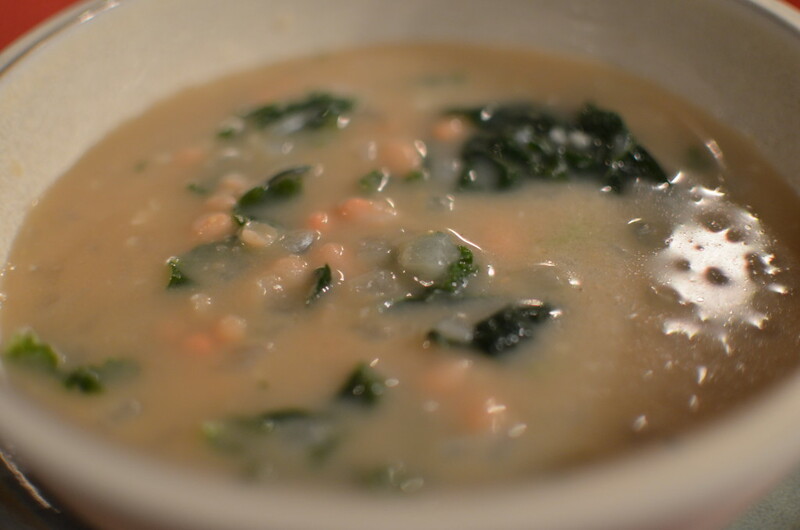 I don't like eating kale raw but I love it in this soup, it gives it a great texture and the soup clings on to the kale. I hope you enjoy it as much as me and my sister! In a large pot, heat oil. Add garlic and onion and sauté until soft. Puree one can of beans (with its liquid) in a blender until smooth. Add broth, pureed beans, the other can of unpureed beans, 1/2 teaspoon salt, and bullion. Simmer 5 minutes. Add kale and simmer until wilted. Ladle into bowls; sprinkle with chopped parsley.